Behind every Fix, there’s a team who spends countless days scouring the marketplace. They find jeans for every shape, the right red dress for date night & the most comfortable flats ever. Introducing Buyer-side Chat: an insider look at the life of our totally fashion-savvy buyers. First up? Our Footwear Team: Jenna K., Elisa G. & Allison H.
You buy shoes all day? Sounds dreamy. Tell us more! 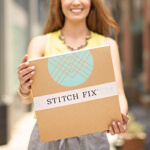 Allison H: Being part of the Footwear Team at Stitch Fix actually is a dream! On any given day, you can find me scouring through color & fabric swatches, chatting with our amazing shoe vendors, and finding new, exciting brands to partner with. Jenna K: Each day is different, which is what keeps my job so exciting! My days consist of discussing strategic priorities with other buying directors, attending vendor meetings to build partnerships & pick out product, and meeting with our analytics team to better understand our clients. Which shoe brands have you chosen to partner with so far & why? AH: We always approach new vendor relationships looking for quality, comfort & trendiness. We also love socially conscious brands! How does our shoe selection stand out from other retailers? Elisa G: Our teams work really closely with brands to develop shoes that are exclusive to Stitch Fix. Whether it’s creating an exclusive color or a whole new design, there’s a lot of work & thought that goes into each pair of shoes. AH: It’s also really exciting to be doing something new & innovative in the footwear industry! With all the feedback our clients provide, we can quickly learn what they loved or didn’t love about any given style, and make changes to our future assortment accordingly. Do you have a current shoe obsession? JK: I’m absolutely loving lace-up shoes. They go with any outfit and are a great way to look special & be comfortable at the same time! AH: Summer booties! I have a great pair of perf booties with a lower heel that go with everything. So comfortable, and they look great with summer dresses or jeans. Is there a pair of shoes you just can’t live without? Please share! AH: My cognac ankle-wrap sandals. They are the perfect addition to any outfit! I grew up in Arizona—you can take the girl out of the desert, but she will always have a fondness for open-toed summer footwear. Have any questions for our shoe buyers? Ask them in the comments below!